I am once again in Arizona with the intention of exploring the northern part of the state, having ventured south in 2014. 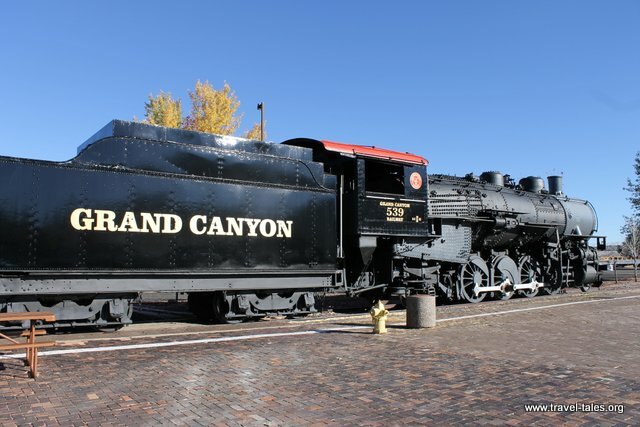 On discovering that there is a train to the Grand Canyon, I could of course not resist travelling on the Grand Canyon Railway (www.thetrain.com) from Williams, AZ to Grand Canyon Village, AZ. The train leaves every morning at 9:30 and takes about 2 hours to travel the 60 miles up to the south rim of the Grand Canyon. 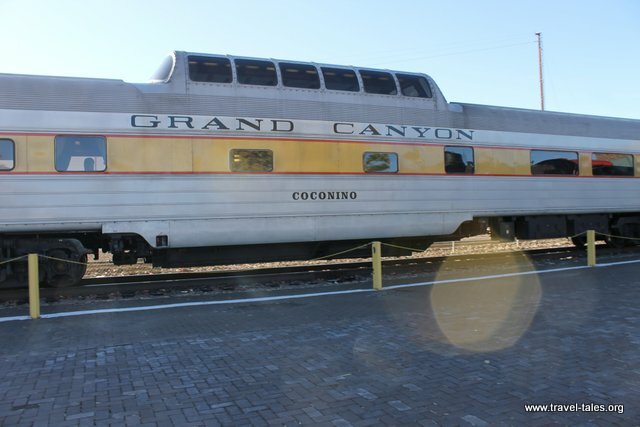 I travelled on the Coconino coach, which has more expensive seats in a domed section. 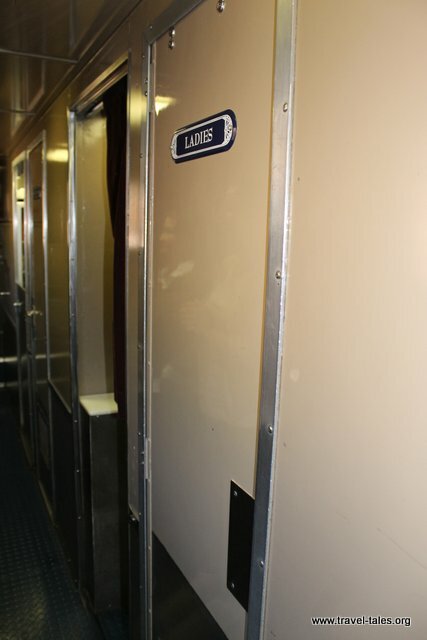 which is necessary as there is actually only one ‘loo. As we left Williams, the views were over relatively barren land, which got increasingly greener as we climbed and the trees got taller too. There are cattle ranches on the lower levels and deer live in the forests higher up. Elk are prevalent too, I didn’t see one though.